On Wednesday, on a hospice in Wijchen near Nijmegen, the oldest Dutch bishop passed away: Msgr. Herman Münninghoff, bishop emeritus of Jayapura in Indonesia. Aged 96, he was among the last surviving bishops who had left the Netherlands for the mission in the years following the Second World War. In 1972, after a short time as parish priest and vicar general, he was appointed as bishop of Jayapura, on the northern coast of Irian Jaya, the Indonesian half of the island of New Guinea. He stayed in office until his retirement in 1997, returning to the Netherlands in 2005. As bishop he stood with the Papuan people and for the well-being of all, most significantly in the 1990s, when he fought for the release of several western hostages held by Papua freedom fighters, and a black book by his hand led to the arrest of four Indonesian military officers for the murder of eleven Papuans. Bishop Münninghoff also insisted that the union of Irian Jaya with Indonesia in 1969 was a forced one, with Papuan elders coerced to vote in favour of the move. In 2017, Bishop Münninghoff celebrated the 45th anniversary of his ordination at the care facility in Wijchen, with Msgr. Theodorus Hoogenboom, auxiliary bishop of Utrecht, as the main celebrant. Yesterday, the eve of his 100th Easter, Bishop André Sol, the sixth-oldest bishop in the world and the oldest Dutch bishop, returned to the Father. Bishop Andreas Petrus Cornelius Sol was the last surviving Dutch-born prelate to have participated in the Second Vatican Council, taking part in the third and fourth sessions. A priest of the Missionaries of the Sacred Heart, he was ordained in 1940, travelling, after the war ended in 1945, to the Catholic Kai Islands in the Moluccas in what was then the Dutch East Indies. In 1963 he was appointed as Coadjutor Bishop of the Diocese of Amboina, and in 1965 he succeeded Bishop Jacobus Grent, also a Dutchman, as the second bishop of that diocese. Bishop Sol retired in 1994. Bishop Sol remained in Ambon after his retirement. In 2004 he had to flee sectarian violence in the city, but he returned later and died yesterday in the city that became his home. 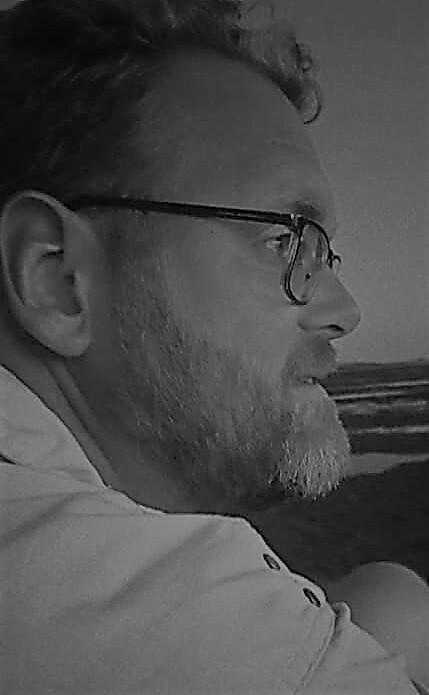 He leaves behind an extensive library attached to the cathedral of Amboina, as well as the Ambon Adoption Project, which has allowed thousands of children in the Mollucas to receive an education through sponsorships from financial adoption parents in the Netherlands since its inception in 1980. Recently, I read about the appointment, in the United States, of Bishop Salvatore Matano as Bishop of Rochester. He succeeds Bishop Matthew Clark, who headed the diocese since his appointment in 1979. In other words, Bishop Clark held that see for almost exactly my entire life until now. That is quite a long time for a bishop to remain in one place, although there may be much to be said for a shepherd to lead one flock for as long as he can. The above made me wonder what other bishops have such a long time in a single see behind them. A little bit of reasearch resulted in the top 10 I present below. I have only looked at bishops who are still in office, and I have taken their date of consecration as the starting date of the office (if they were consecrated before being appointed to their current sees, I took the date of appointment as a basis). At 84, Bishop Khoarai is well past retirement age, but continues in office as ordinary of Mohale’s Hoek. He became the first bishop of that diocese when it was split off from the Archdiocese of Maseru in 1977. Also past retirement age, at 76, Bishop Sulumeti was auxiliary bishop of his native Diocese of Kisumu (today an archdiocese) from 1972 to 1976, and bishop of the same circumscription from 1976 to 1978, before being appointment to Kakamega when that diocese was split off from Kisumu. Canadian-born Bishop Bouchard is the third bishop of the Chadian Diocese of Pala. He is a member of the Oblates of Mary Immaculate, a missionary society, which explains his appointment to the central African country. A few weeks into the retirement age of 75, Bishop Hubbard may not have to wait overly long before ending his 36 years as bishop of Albany. He is the longest-serving American bishop and also the longest-serving western ordinary. After two years as Pontianak’s auxiliary bishop, from 1975 to 1977, Archbishop Bumbun became the archdiocese’s first native ordinary. At 76, the Capuchin bishop is also past retirement age. A native of the French possession of Réunion in the Indian Ocean, Bishop Aubry was appointed at the fairly young age of 34. Bishops in Greece tend to stay in office for a long time, and new appointments are rarely made, which explains the presence of two Greek ordinaries in this list. Capuchin Bishop Papamanólis is the ordinary of two dioceses and also Apostolic Administrator of Crete. The archbishop of Greece’s capital came to the see at the age of 36 and continues still at almost 77. That honour goes to Bishop Kalata, the Polish-born prelate who is not an ordinary, and never has been. One of the eastern European clerics consecrated bishops in secret during the Cold War, Bishop Kalata was given a titular see, Semta, in 1985, when relations between east and west were warming, but the Holy See never got around to appointing him to a regular see, unlike some other bishops who were consecrated at the same time. The Jesuit bishop now resides in Germany and does pastoral work in the Archdiocese of Freiburg im Breisgau. Happy birthday to Bishop Andreas Peter Cornelius Sol, who today marks his 98th birthday. Bishop Sol was born in Sloten, in the Diocese of Haarlem, and became a priest of the Missionaries of the Sacred Heart of Jesus. He became Coadjutor Bishop and later Bishop of Amboina in Indonesia. He retired in 1994. Happy birthday to Bishop Ronald Philippe Bär, who today marks his 85th birthday. Bishop Bär was born in Manado, in the Dutch Indies, and became a Benedictine priest, and later auxiliary bishop and bishop of the Diocese of Rotterdam, as well as bishop of the Military Ordinariate. He resigned in 1993. With this quote from Bishop Muskens himself, Bishop Jan Liesen marked the beginning of the farewell ceremony of the ninth bishop of Breda. Lying in state in the Cathedral of St. Anthony, the church that he himself had elevated to cathedral in 2001, Bishop Tiny Muskens was hailed by faithful and clergy alike. His funeral Mass took place this morning in the cathedral, and was followed by a private funeral in the town of Lieshout, where the late bishop was born in 1935. Among the faithful bidding him their last farewell was a group of sisters from Indonesia, where Bishop Muskens worked for eight years for the local bishops’ conference. The funeral Mass was offered by Bishop Liesen in concelebration with Cardinal Wim Eijk, Bishop Hans van den Hende of Rotterdam (Bishop Muskens coadjutor and successor) and Archbishop André Dupuy, the Apostolic Nuncio, as well as several dozen priests of the Diocese of Breda. The other Dutch bishops attended as well. Completely in the style of the ‘Red Bishop’, there was a collection for the local food bank in Breda, which distributes food and other necessities to the poor, after the Mass. These days this blog certainly gives the impression of being preoccupied with death. But, then again, death is part of life, and when it encroaches we can benefit by acknowledging it. So, with that, in mind, onwards to another post about a death in the local Catholic family. Last night a life ended that was greatly animated by concern for others, both abroad and at home. Also a life that was not without its critics, who accused it of being perhaps too generally spiritual as opposed to Catholic, and on some topics far too liberal. But that criticism did not leave its mark. Silence, care and simply doing what needed doing did. 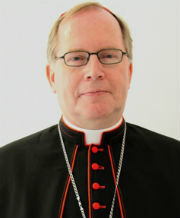 Bishop Martinus Petrus Maria Muskens passed away last night at the age of 77. The final years of his life were marked by ever decreasing health and mobility, although he was able to attend several major celebrations within the Diocese of Breda, including the 50th anniversary of his own ordination to the priesthood. 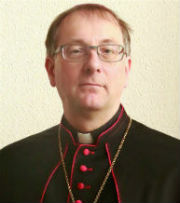 Bishop Muskens is survived by his own predecessor, Bishop Huub Ernst, and two of his predecessors, Bishop Hans van den Hende and Jan Liesen, as bishops of Breda. Bishop Muskens, whose first name was usually shortened to ‘Tiny’, started his life in the Church as a priest of the Diocese of ‘s Hertogenbosch in 1962. His study of missiology at Nijmegen led him to Indonesia, where he worked for eight years as director of the Indonesian Bishops’ Conference’s documentation centre. In 1978, Father Muskens went to Rome, to become rector of the Dutch College and teach Church history at two international colleges. One of his most noted efforts there was the restoration of the Church of Saints Michael and Magnus, better known as the Church of the Frisians. Today this church is the home base for Dutch pilgrims and officials in Rome. In 1994, Pope John Paul II appointed him as the ninth bishop of Breda. Bishop Muskens was consecrated by his predecessor, Bishop Huub Ernst, which marked his first permanent return to the Netherlands since he left for Indonesia. Marking his international and interfaith outlook that would come to the fore in later years, Bishop Muskens chose the simple word “Shalom”, Peace, as his motto. Following two minor strokes in 2001, Bishop Muskens decided to request a coadjutor and an early retirement. These were both granted in 2006, in the form of Bishop Hans van den Hende, and in 2007, when Bishop Muskens joined the Benedictine community in Teteringen, where he was simply known as “Brother Martinus”. Shortly afterwards, a chance collision with a cyclist led to him breaking his hip. He never walked again without the aid of a cane, and at major celebrations he was usually present in choir or in a pew at the front of the church. 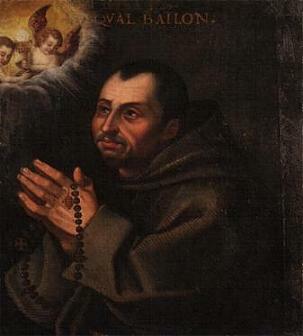 In his years as bishop of Breda, Msgr. Muskens was perhaps the most visible bishop in the media. Several of his statements and convictions caused ripples in society and also within the Church. He was, for example, in favour of abolishing mandatory celibacy for priests, and suggested the use of condoms as a lesser evil. He was also in favour of female deacons. On the other hand, other acts and statements made him quite popular in society. He said that a homeless person should be allowed to steal a bread if that meant survival, and at another occasion he slept in a doorway to underline the plight of homeless people. This social engagement gave him the nickname I used in this blog post’s title: the Red Bishop. His experience in dealing with Islam was also visible in his work as bishop. He suggested that the Dutch national holiday of the second day of Pentecost be traded for a holiday to mark the Muslim holiday of Eid, since the former lacks any theological basis. He also suggested we address God also with the name Allah. On the other hand, he was also critical of Islam. The dialogue between Christians and Muslims has no future, he said in 2007, as long as countries in the Middle East continue to forbid the construction of churches. Like him or not, there is no denying that Bishop Tiny Muskens was a character, and he knew it. He knew the importance of sometimes shaking up set morals and convictions. As such, he leaves some big shoes to fill, but I’ll go as far as to say that we could use someone to fill them. “In this book, you won’t read how all sorts of people feel at ease with Muskens, because they don t need to pretend with him. You will neither read how people often felt visibly uncomfortable with him. Not out of awe for His Excellency, but because he is so hard to fathom. A tank, a man with a mission he simply had to see through, Bishop Muskens got away with it and did what he understood as the right thing. And he simply did it, without much words, as he was perfectly at ease with silence. Silence just because it’s silent. The Requiem Mass and funeral will take place on 23 April in the Cathedral of St. Anthony in Breda. Bishop Muskens will be laid to rest in the family grave in his native Elshout.